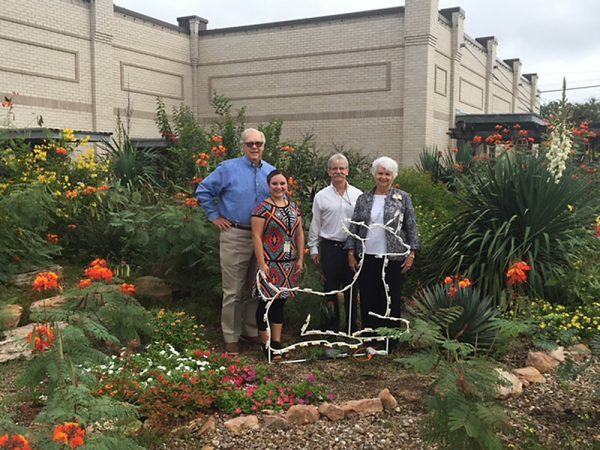 Pictured with a sample light display from Cuero’s Christmas in the Park, and representing the CDC December Events Committee are (from left) CDC Pres. Charles Papacek, CDC Admin. Asst. Samantha Bayfus, CDC Exec. Dir. Patrick Kennedy, and Cuero Mayor Sara Post Meyer. 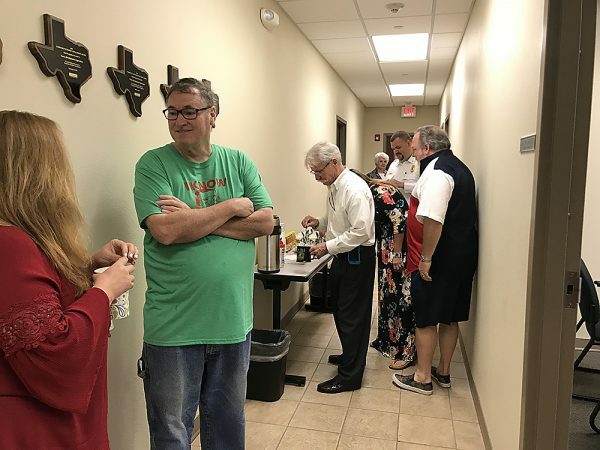 The Cuero Development Corporation’s December Events committee hosted Coffee With The Mayor on Tuesday, September 11, 2018 at the CDC office building in downtown Cuero. 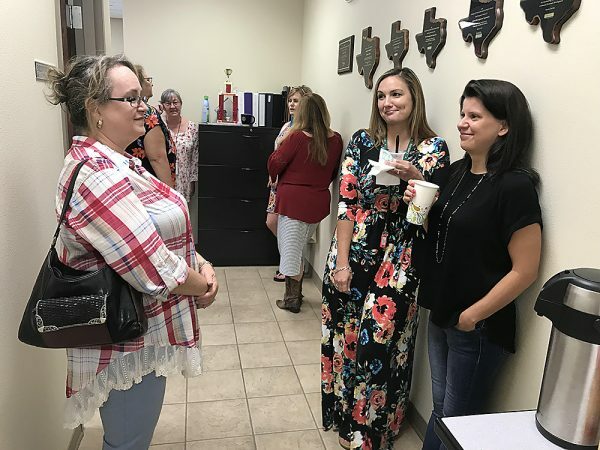 Attendees enjoyed refreshments and a tour of the CDC’s office buildings and the opportunity to visit with Cuero Mayor Sara Post Meyer.